Home - Arktos Developments Ltd.
ARKTOS Craft can move people and equipment into and out of difficult amphibious zones that are otherwise inaccessible. 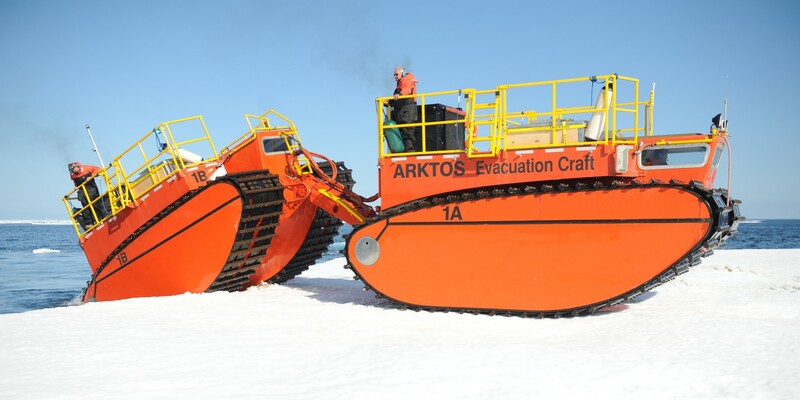 ARKTOS Craft’s unique design help customers fill their logistical gap while providing added safety and a higher probability of survivability in harsh climates. ARKTOS Developments Ltd. has a team of Designers, Engineers and Naval Architects that enable the company to custom build ARKTOS Craft to meet the needs of its customers. ARKTOS Craft have the highest proven all-round level of amphibious capability in the world. 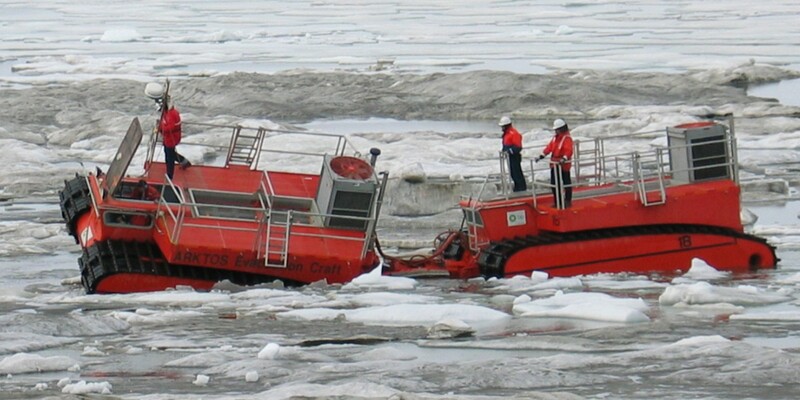 Due to their unique design, these Craft can climb from deep water to ice and up vertical steps such as multi-year ice-floes and rough shore lines. 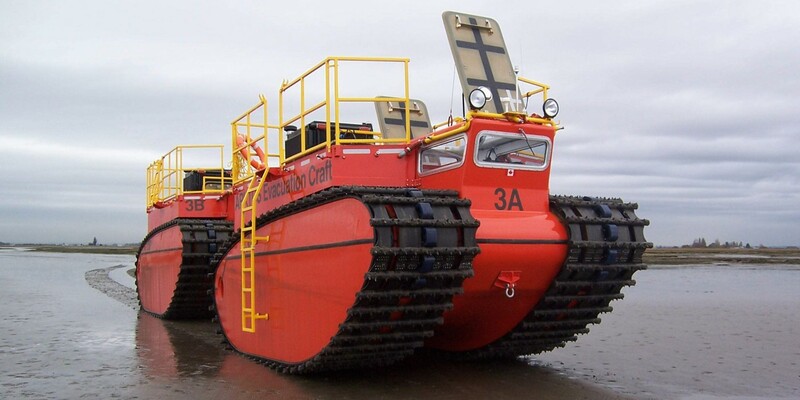 ARKTOS Craft can operate in shallow water, mixed ice-water, ice-rubble fields, deep mud, muskeg and even quicksand. ARKTOS Craft can safely maneuver through uncharted waters for immediate and direct response. The stability of these Craft allow them to carry heavy loads and have the ability to tow a variety of equipment such as amphibious barges, disabled boats etc. (in relation to the size of the Craft). ARKTOS Craft can operate in all weather conditions. ARKTOS Craft have low ground pressure. Setting Sights on the Defence Industry: Top 20 gadgets and innovations on display at CANSEC text by Evelyn Brotherston | CANSEC photos by Richard Lawrence. Featured on page 17.